Despite a bumpy start, Adobe's Android version of Lightroom has become a capable and popular app for mobile photographers. It can process RAW files, apply filters, and it syncs across devices with a Creative Cloud subscription. Today, Adobe is rolling out a new version that includes neural network smarts and some features for newer builds of Android. Most features still work without a subscription, too. Here's what you can expect in the latest version of Lightroom. The addition of auto settings is clearly the headliner. If the auto settings work well, you don't have to worry about much else. Adobe says its Sensei neural network is now powering the auto adjustments. You can learn more about Sensei and how it improves the process on Adobe's blog. The gist is that it understands what it's looking at in the photo based on data from thousands of other photos. 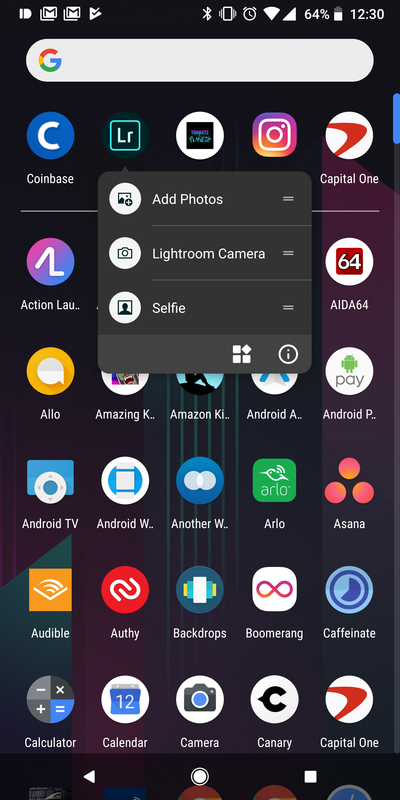 For those on Android 7.1 or higher, Lightroom now supports app shortcuts (previously and more accurately known as launcher shortcuts). The shortcuts are selfie, Lightroom camera, and add photos. The remaining changes are mostly fixes for specific devices from Huawei and Samsung. The new version is live in the Play Store right now.